What Jesus, Siddhartha Buddha, Krishna, and all other Ascended Masters have done , which is to have “awakened” by acting as their Higher Self while still in body, is what we all are doing as we go through the early stage of this New Earth. Sterilizers of anarchical units inject into hu-being dark consciousness levels. A person’s thoughts and beliefs become anarchical when left ungoverned by spiritual principles. This creates dark consciousness. 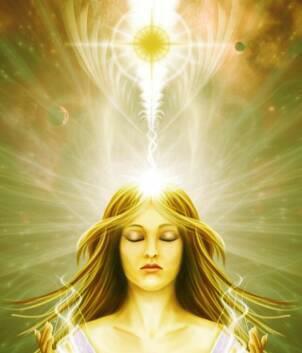 Now the Higher Self enters into the dark human consciousness levels and neutralizes all negativity. 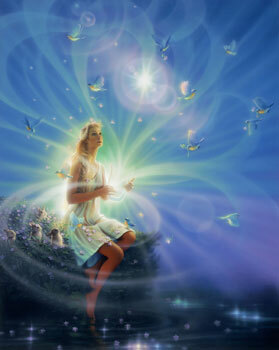 Entering into closer and conscious interaction with the incarnated human, the Higher Self, Carrier of Light, takes a stronger role in the everyday life of humans. The hu-man becomes Hue-Being, living as Higher Self. This is what makes us true New Earth people. The undisciplined human ego causes turmoil, internally and externally. Now, it is being reigned in by the Higher Self. That brings levelheadedness and calm action. This, and nothing else, will bring peace and happiness to all of Earth. We no longer have a stereo system of lower mind and Higher Self. The Higher Self has stronger influence to the lower self (body/mind unit). Instead of two channels, both are integrated. The ego is not eliminated, but integrated with the expanded part of ourselves, our expanded level of Consciousness.